Tori, shot by Beth Sternbaum. I love that makeup is so personal, and that there is no wrong way to do it. Whether you like the barely there look or want to be completely caked up, you can cater it to your mood. Plus, I always love seeing the way someone’s face lights up when they love their makeup. It only takes a little to boost your confidence sometimes. What is your favorite era of makeup? The 60’s is hands down my favorite era for makeup. It was bold, fashion forward, and always made a statement. 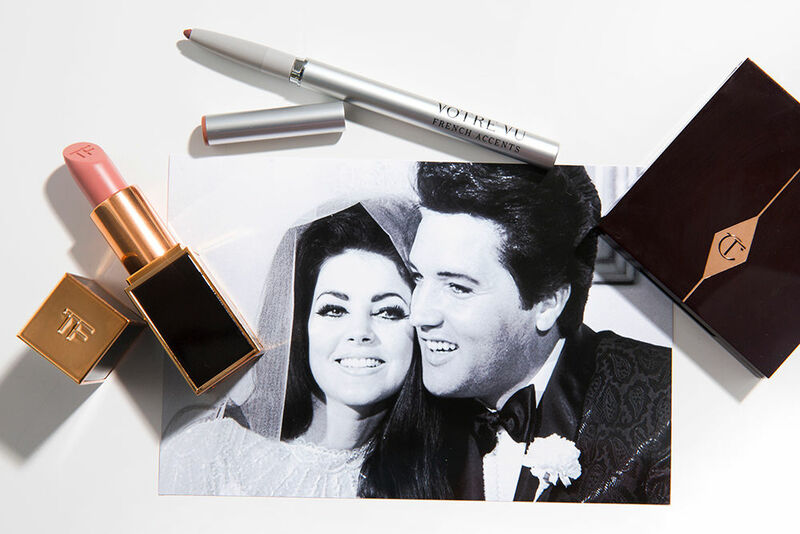 Models and muses like Twiggy and Edie Sedgwick embodied it beautifully, but Priscilla Presley’s wedding makeup is my favorite look of all time. Elvis Presley and his beautifully ‘done-up’ bride, Priscilla, on their iconic wedding day in 1967. Sephora will always be my favorite! I’ve shopped there since I was very young, and worked in the Beverly Hills location before I began modeling so it will always have a place in my heart. 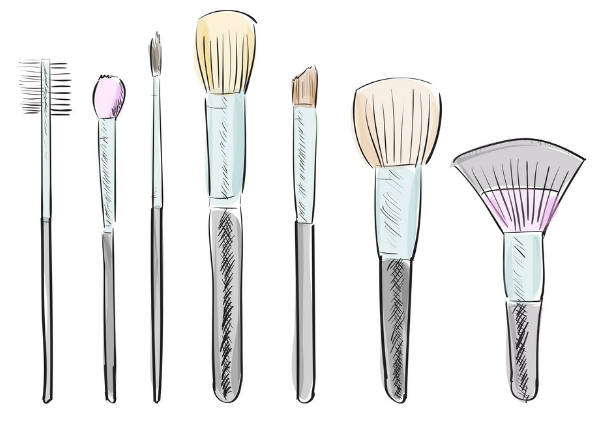 Is there any kind of makeup that you can’t leave the house without? My lip gloss! I like having a bare face, but need my Fenty Beauty Gloss Bomb or I feel incomplete. I’ve learned that for sensitive skin, keeping things as simple as possible is what works the best. 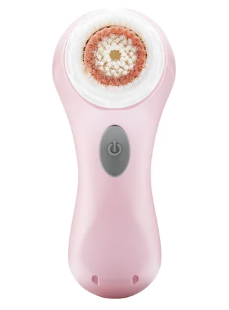 I use my Clarisonic Face Brush with the First Aid Beauty Cleanser, and follow up with their Ultra Repair Cream after. That’s it for every day! 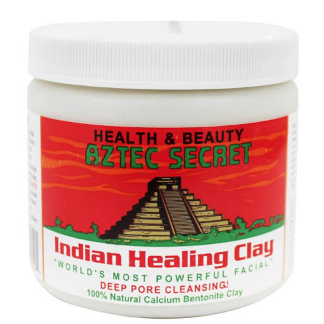 Once or twice a week I’ll use the Aztec Clay Mask all over to detox my skin if it’s been through at lot. It works great as an overnight spot treatment for any zits as well. No more toothpaste on your face ladies! 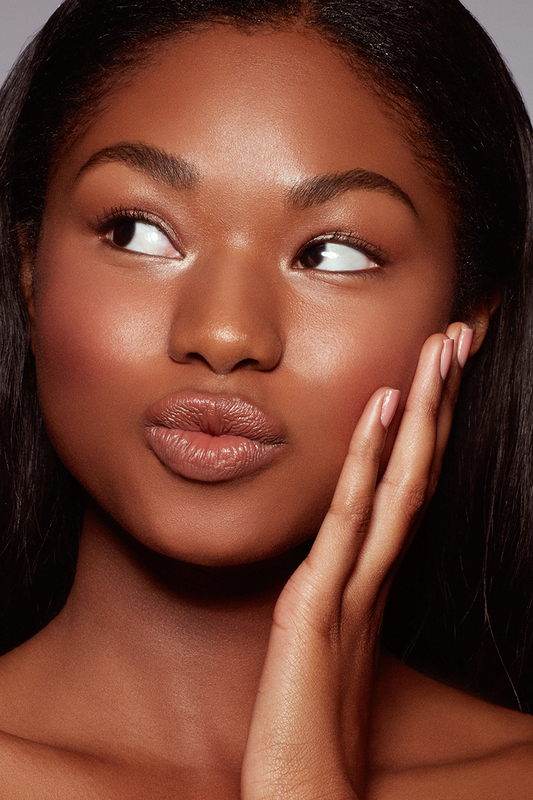 What is your go-to natural look? What products do you use? The natural look has been my favorite the past few months. 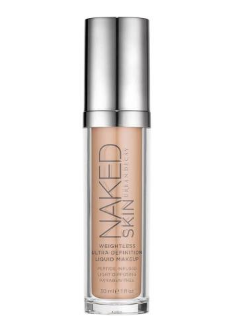 I start by evening my skin with a tiny drop of the Naked Skin Foundation, buffing it in until it’s one with my skin. 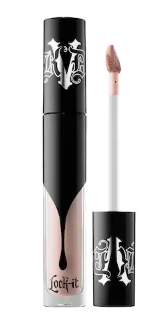 After, I spot conceal anything that wasn’t covered before with the Kat Von D Lock It concealer, as it’s very high coverage. To keep in all in place, I set it with a light layer of the Fenty Beauty Translucent Blotting Powder. 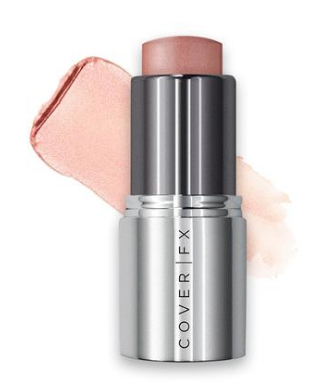 Then to add a natural glow, I use Cover FX’s Click Highlighter in Gilded to the high points of my face. It’s cream, but blends on top of powder without a problem. For brows, I like NYX Brow Pencil, and for mascara nothing beats Urban Decay’s Perversion. I’ve used it for years! 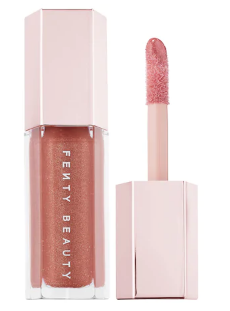 Lastly, I add the Fenty Beauty Gloss Bomb and I’m ready to go! It may sound like a lot, but it only takes about 10 mins tops so it’s great for everyday. What is your go-to “night out” look? What products do you use? For night, I basically use the same products, but aim for a little bit more coverage and longevity by layering to make sure nothing moves. 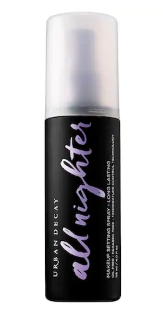 Adding an extra drop of foundation and setting spray (nothing can top the Urban Decay All Nighter) is perfect for that. 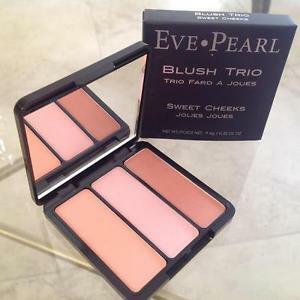 Also, I like to use the Eve Pearl Blush Trio and Vapour Beauty Solar Transparent Bronzer in “Spicy” together to add some color and definition to my cheeks. 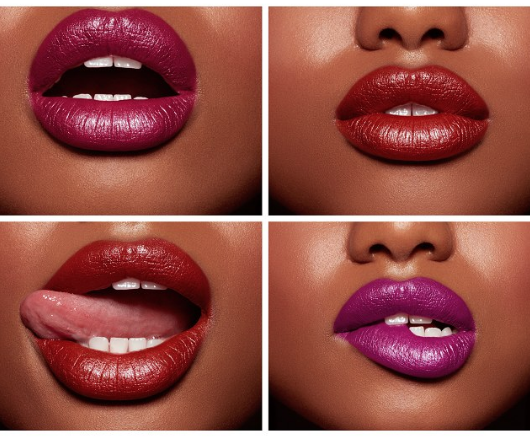 The “Spicy” shade is great because it works on very light skin tones to deeper ones such as mine. 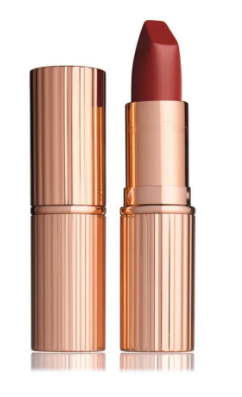 For lips, my current favorite is the “Walk of Shame” Matte Lipstick by Charlotte Tilbury because it goes with any look. 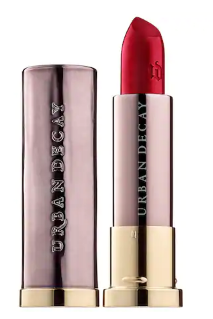 If I’m feeling bolder, Urban Decay’s “Bad Blood” Matte Lipstick is super flattering. 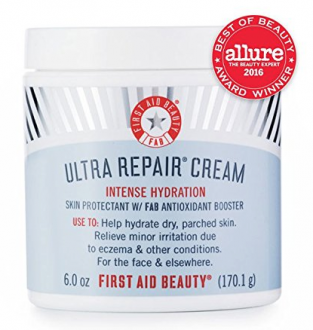 What is your favorite drugstore brand? My favorite drugstore brand is definitely NYX! I’ve found that they have dupes for so many different high end products, and many times they perform better for less than half the price. They’ve got a huge selection too so lots of options to choose from. Tori (top left) modeling for KKW Beauty. 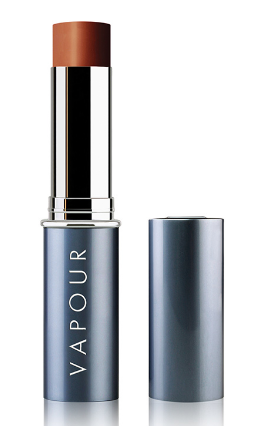 What cosmetics brand are you excited to try, but haven’t yet? I’ve wanted to try Illamasqua for years but haven’t. It’s not as easy to find in the US but after years of watching British YouTubers praise the quality, I’ve wanted to try it for myself. My most cherished beauty product is the Urban Decay Perversion Mascara. My natural lashes are on the thinner, smaller side and it’s the only mascara to really wow me and make them look as big as I’d like them too. I’ve even had a few people ask me if I’m wearing falsies when I wear it. Is there anything about the product(s) that you use that make them unique to others in their market? On unique thing is that all of my products are cruelty free. It’s easier on my conscious to buy products where I know no living thing had to suffer in the process. I encourage everyone to explore as many cruelty free options that they can! What celebrity and/or figure in your life inspires your makeup look? Rihanna! I don’t think she’s ever had a bad makeup day. Her face is never caked, and she the way her artists give her a glow is mesmerizing. She’s a great example of how to enhance what is already beautiful on someone’s face. 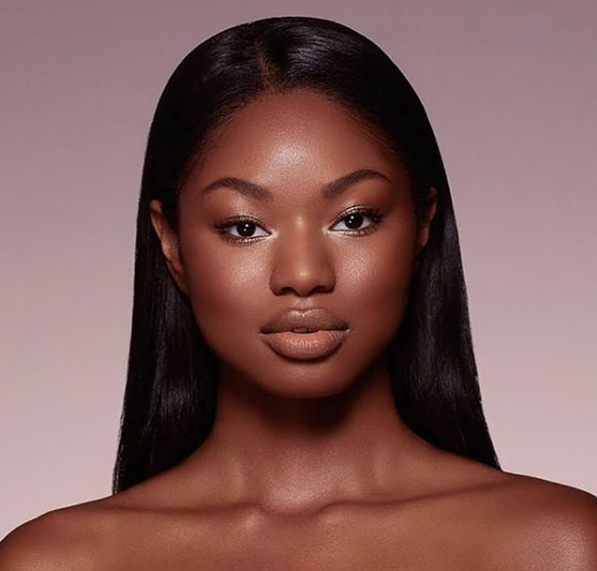 Tori modeling for KKW Beauty. Is there anything else that you would like to include? I know that makeup can be a bit daunting to those who aren’t as knowledgeable about products but it can be a really cool hobby to explore. Don’t be too intimated and visit your local Sephora where they are more than happy to personalize different makeup products to you and your lifestyle! Can’t get enough of Tori Bass? Check out her portfolio and follow her Instagram. Beth Sternbaum – Instagram | Website. Shop KKW Beauty and follow the brand on Instagram.